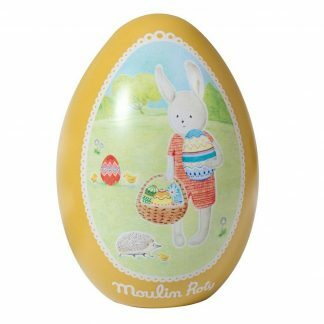 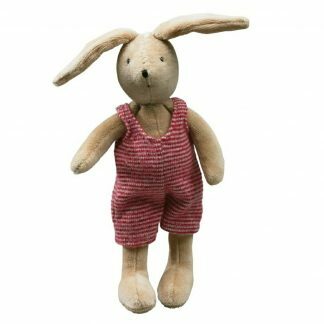 Made from tin, it is beautifully illustrated with the Grand Families Sylvain Rabbit on a mustard coloured background. 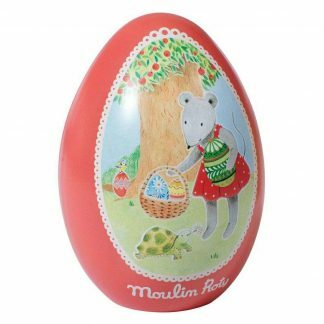 Sylvain can be seen collecting colourful eggs in his basket with a little hedgehog and some chicks. 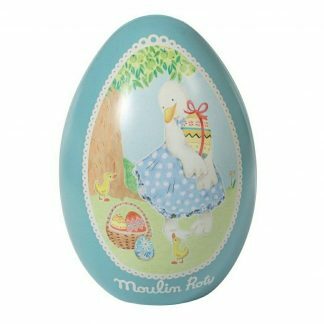 The egg can be split in half so little Easter treats can be added and it has a loop at the top so it can be hung up.